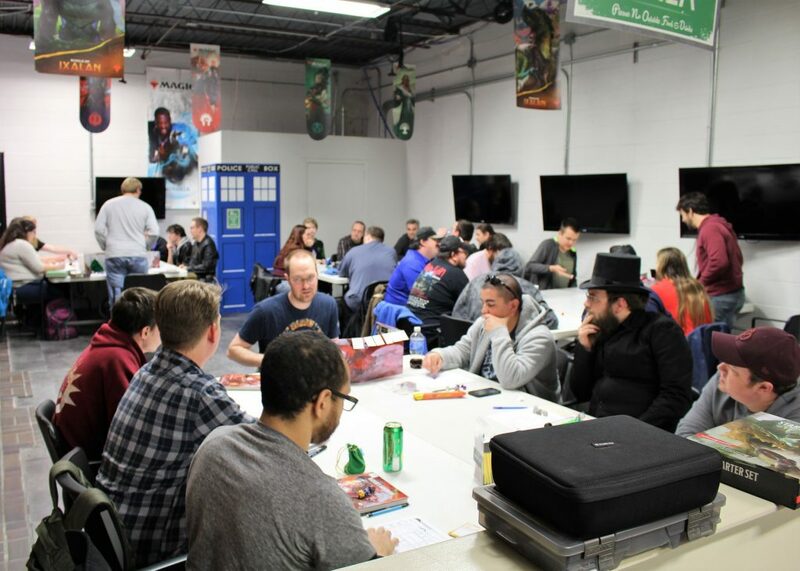 These are the recent adventures of the Silvery Moon chapter (McPherson, KS) of Dearborn company, a guild of adventurers in the world of Dungeons & Dragons. A party of new Dearborn Company recruits–a hulking Goliath named Lo, a Minotaur protector of nature Radolak, a roguish Halfling that prefers the moniker The Almighty Roche, a pair of warrior priests Grounst and Stor Blackstone, the gold Dragonborn knight Balazar, and the novice wizard Brooks–were sent to deal with an infestation of Kobolds that had taken up in an abandoned watch tower on the lands of a local minor lord named Balder a day’s ride east of Silverymoon. The new recruits made short work of the Kolbold’s numerous defenses, and in their search of the tower found the body of a former Dearborn member who had gone missing under mysterious circumstances months prior. On their return, they were accosted by two lieutenants of House Balder, Sluggo and Rotter, probing for information on what they found in the tower, but a direct confrontation between the Guild and the men of Balder was ultimately avoided. No casualties were suffered, and the corpse of the long-dead Dearborn member as well as his gear and last testament were handed over to Quartermaster Jory for further investigation. A detachment of new operatives are being heralded as heroes this weeks for their part in returning several missing children to their families this week. Among those being honored we salute: the pious half-elf Innil So-Kehar, the nimble fingered Jaquen Noir-ku, gifted Tiefling sorcerer Malik Morningstar, a Tiefling warlock who wished to be known simply as Ekemon, a Holy warrior answering to the name Judge Zargabaath, and the melodious Halfling Astor Greenbottle. This group investigated the disappearance of a young girl by the name of Tyss Endmore, daughter of a wealthy merchant, and using an as of yet unnamed source managed to interpret a pattern. Once a pattern was established the learned of a nearby smuggler’s hideout from an Anonymous informant, and upon investigating managed to recover the young girl, along with a half-dozen others. Although there appears to be some complications involved with collecting the bounty for young Tyss (believed caused by a recently excommunicated operative), this was still a job deserving of recognition. In the course of investigating this situation the group stumbled onto a small kid-napping ring and dealt with them as needed, though they uncovered evidence that perhaps this group were simply acting at the behest of a third party. We have informed the authorities that should further investigation be warrant we will eagerly await their summons. 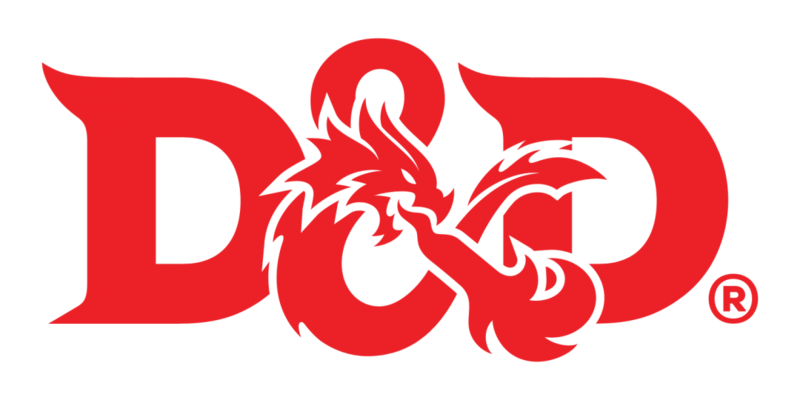 A party of six adventurers was contracted through the Dearborn Company to investigate the theft of bodies from a cemetery in a small town outside of Silverymoon. The players investigated the cemetery at night and quarreled with several persons there who were engaged in a duel. They later constructed a fake body and held a funeral for it then hid out in the cemetery at night to catch the body thieves. While laying-in-wait the group heard the sound of digging coming from beneath them and dug into a nearby grave, finding a tunnel that led downwards, they followed the tunnel which led them into a catacomb. Exploring the catacomb they came to a large chamber which was the lair of a pack of ghouls. The party defeated three ghouls and a ghast. They returned to the priest with the head of the ghast and were rewarded for solving the mystery. Before returning to Silverymoon, they saw several lights in the cemetery at night, which turned out to be the groundskeeper of the cemetery and two other men who were trying to steal the decoy body that the party had buried on the previous day. The group apprehended the thieves and through intimidation got them to admit their crime of stealing freshly dead bodies and selling them as cadavers to a local medical school. The thieves were turned over to the authorities and the group sold their loot and paid the contract fee to the Dearborn Company. 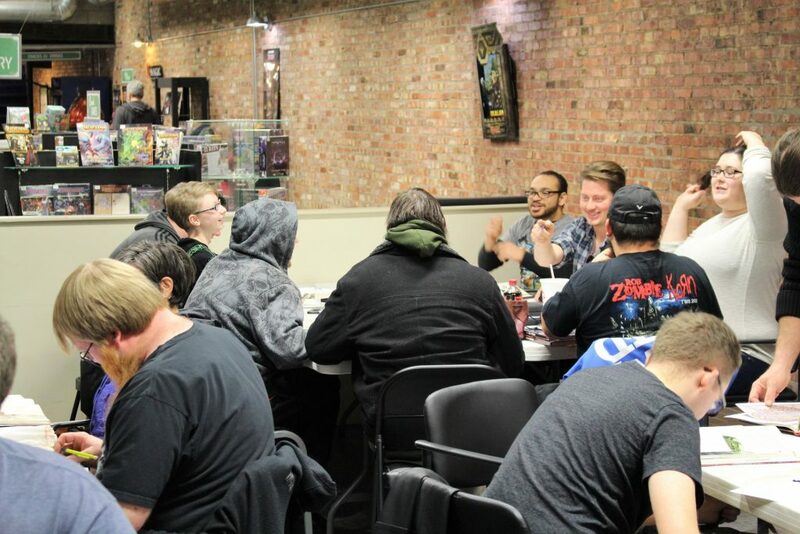 Dearborn Company meets every other Saturday at The Village Geek in both McPherson and Manhattan, Kansas. Whether you are an experienced player or brand new, the open campaign a great experience! 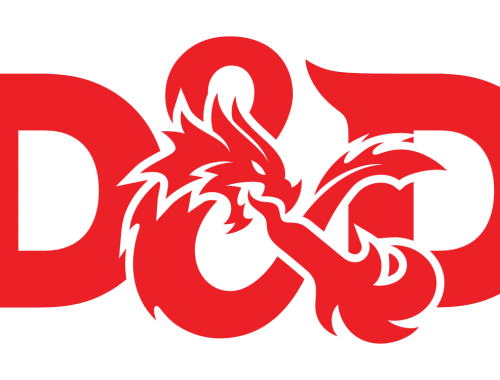 Click here to see upcoming D&D events at the The Village Geek in McPherson, KS!